We could make you delirious (delirious). You should have a healthy fear of us (fear of us). Too much of us is dangerous (no no no no). Types of pills that you will need (you will need). If we’re not taken carefully (no no no no). We’re not candy… ohhh, no. Ah, the power of advertising. I haven’t heard this public service announcement jingle in 15+ years—since I was home sick from junior high; yet I remember it word-for-word and note-for-note (much to my poor wife’s dismay). NEW: The video is available for download here [3MB]; a partial audio track, without the video, is also available, here [46KB]. This entry was posted by Ron on Sunday, March 27th, 2005 and is filed under Says Me. Use this RSS 2.0 feed to follow responses to this entry. You can leave a response below, or trackback from your own site. act it out for them. LOL!! hah! i know what you mean. my wife isn’t from new york, so i’ve had to explain (and sing) this to her myself. i’ve never been able to find video of it, but i did find the audio (which is creepy enough). you can get it here. (i also found an mp3 version; let me know if you want that one.) i also came across a screen shot from the commercial which you now see posted above. apparently, there is a video floating around (thanks to VH1’s “The 80’s Strike Back” series). I can’t tell you how you made my day with the screen shot of the “We’re Not Candy” — certainly MY favorite PSA of all time. Just this weekend, in fact, my mother emailed me the last verse, accompanied by clip art of spaghetti and meatballs (I made sauce and pasta for 150 for a school event). Thanks for sharing the .mp3 — I only wish I could be by her side when my mom hears the jingle for the first time in ~20 years! I also look forward to educating my husband, who thinks I’ve had a few too many of the little blue pills whenever I bring it up. my pleasure! long live the blue pills!! Thanks, Ron! I must admit, I find myself thinking of this little commercial frequently, as medicine and the media pushes every little pill it can into our daily existence. This simple PSA has non-harmful side effects: a worthy message, a catchy tune, and charming characters that cling to the memory. It was fun to sing with the kids, oh so many years ago, and it brings a smile whenever I think of it…or hum the tune! Thanks! OMG! So I wake up singing this song to myself for some strange reason. Thinking that there’s no way there would be any kind of links to be found. Guess I was proven wrong! This commercial is the shints Thanks for posting the song, but the video would rock. I LOVED this commercial. They recently played the video on VH-1…. Remember the 1970…something. I have searched VH-1 and emailed them and received no response. If you ever find the video, please let me know. pearl, i just emailed you a link to the mp3. enjoy! I cannot believe there are other people out there who have been singing the silly pill song for over 20 years!! Apparently, this little ditty is embedded in the brains of every kid who grew up in the Tri-State area in the late 70’s and early 80’s! If anyone can find the video PLEASE let me know! I grew up in New Hampshire; We were able to get WPIX, which played this PSA over and over. I would love to see this video! My friend and I sing this song ALL THE TIME!! I loved this commercial! I hope VH1 publishes their “Remember the 80’s” videos, cause for this commercial alone I’d buy the darn things! When you get a chance I’d love to have an MP3 of this tune! You’re awesome! Thanks for the blog! YAAAAAAAAAAAAAYYYY!!! thank you sooo much! I barely remember this from when i was about 3 or 4 years old (early 80s) but i loved it, and my whole life i havent been able to remember the song- only some of the words. 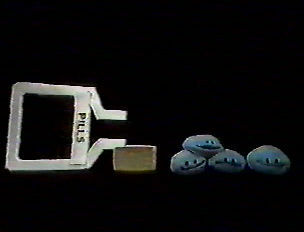 But the cute little blue pill puppets always stuck in my mind. Thanks for the picture! BTW, i lived in Minnesota, just outside Minneapolis, where they showed this PSA on Saturday mornings also, so it is known outside of the “tri-state”… (its rare, however). I know it’s been about a year since you posted this, but I just wanted to show you I found the PSA!!! WOOHOO!!! THANKS for the link! Like NYNostalgia I grew up in the Tri-state area and now that I have lived in various other states it always freaks me out when people don’t know the “Pills” and things like the Magic Garden–not to mention “PIX PIX PIX PIX.” In the late 90s I was working in a restaurant where one of the waiters played a rap song that had this “Pill” song as the main beat. I was looking to download the song but for the life of me I can’t remember the title or artist–I want to say Master P, but does anyone know for sure? I just went to view the link that Pandacookie provided. THANKS!! It really made me giggle. When things get intense around the office, I am liable to just break out in song……I sing this or the Veggie Tales song……..BUT the hysterical irony is that the lady that sits next to me is from Mississippi. She has NEVER heard of this PSA, but now she knows it word for word. Sometimes she will even sing it with me (she’ll do the repeat parts). Our team just busts out laughing. They think it is great! I keep trying to tell southerners that all New Yorkers are not unfriendly…. We are actually pretty darn comical. I love this PSB, my little boy is one and whenever the show “We love the Eighties” showed the clip for this “We’re not Candy” I recorded it on the DVR. Whenever he gets antsy I’ll play the clip and he stops everything that he is doing to listen and dance to those “chipmunk” singing voices. Goto the retro junk website. They have this for download. In the tv ads section. YAY yay yay~! I’m born & raised Connecticut (tri-state area) and remember “PIX PIX PIX PIX”, the hippy dippy trippy Magic Garden (with the giggling flowers and story box) and the awesome singing pills. I live in Colorado now and every one thinks I’m crazy. I sing the song all the time. YAY yay yay !!! Here’s an episode of The Magic Garden, including Sherlock! I don’t remember it being so annoying! Links to all The Magic Garden songs! I REALLY want to see the whole PSA. Looks like only partial videos exist. PLEASE someone find the entire clip! Thanks for the audio. How can I get ahold of the mp3? Believe it or not, this commercial used to scare me when I was a kid (born in 1976). It would come on really early in the morning — I used to get up at 6 AM to watch Fat Albert!!! I really want to see the full video as well. I saw it on MTV once and I love it. Wasn’t there a longer version of this commercial? I remember other verses and don’t see them. Its been close to 24 years since I saw it so I might just be old!!!! i don’t know if anyone here knows this, but the rapper Busta Rhymes used this PSA for one of his songs, Dangerous. he uses as his hook…” this is serious , we can make you delirious…..etc.” google it. Check out retrostatic.com — they have the ENTIRE We’re Not Candy PSA. And you can download it!!! Another PSA from the workshop of Jim Henson…only he could had come up with something like that! Can I get emailed the mp3 of ‘we’re not candy’? or have it posted? If you were a kid living in the NYC metro area in the ’80s and you DON’T remember this song, you DIDN’T watch much television. It was always on during after-school kid programming. It’s soooo drilled into my head to this very day. In fact, it’s a long time tradition that my cousins and I frequently sing this song during family gatherings, including this past 4th of July. We were even trying to teach it to my cousin’s 2½ year old. My other cousin even wants to make up “This Is Serious!” t-shirts for us wear at the next family gathering. And yes, we still know all the words. I’m surprised it still doesn’t run on TV today. It’s just as effective as ever, and can still teach kids not to gulp down medication that’s not meant for them. THANK YOU! I grew up in the NY area and now live in Minnesota and NO ONE knows what I’m talking about when I mention this PSA. I LOOOOOOOVE this so much! Thanks for making my day! Wow!!! I’m at a lost for words. My niece and I actually grew up together in the NY area back in the 80’s, and til this day we still talk about that PSA. Of course we moved to the south and I guess it never made it down there. When we would sing that song of course in our 30’s people look at us like we where crazy. Have to admit….we begin to think we actually made in up in our childhood. Then one day we were just browsing the web for old theme songs and my niece came up with a great idea. Look up the old We’re not Candy theme song. Me being skeptical…I didnt think we could find it. Then there it pops up…the first link from searching on yahoo. Now I have it saved to my laptop to share with my kids…And ok …I will send it to my niece so she can prove to her friends and co-workers she is sane…lol. THANK YOU SO MUCH!!!!! It is so bizarre that I was searching for The Magical Garden when the memory of the little blue pills popped into my head. Finding both made my day & reading that I am not alone in loving the two is even better! Thanks! The internet is awesome! Youtube has several videos of this. Played it for my wife and kids and my wife told me her head is forever damaged.